Anyone buying Nokia 's new N76 from Vodafone UK will be able to download an exclusive version of the new Groove Armada album, Soundboy Rocks, for free. 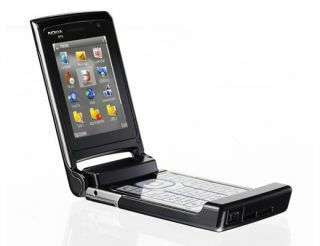 A branded promotional version of the Nokia N76 flip phone will be available at Vodafone stores and online from tomorrow, Saturday 5 May. N76 buyers will get a special card in that package that has a unique PIN code. This will enable them to download a special version of the Groove Armada album. It comes with all 15 tracks plus a realtone of the single Get Down and two exclusive extra tracks. The Groove Armada promotional content will be available to download from www.groovearmada.com/nokia . The offer will be open to new Vodafone customers buying the Nokia N76 and existing customers upgrading to an N76. The deal is the latest tie up between Nokia and record company Sony BMG . Last year the companies teamed up to launch Jamiroquai's greatest hits album on Nokia Nseries devices before it went on general sale.